We´re always try to suggest and explain the right application of our products during the cold season. In an earlier blog post, we gave some recommendations of how to store and apply air tight tapes and vapour control membranes during the cold season. Because of the current weather conditions, we´d like to advise some details about the use of our air tight foams and the WaterFix® Foam as well. In general: all chemical building products should be stored in a warm ambiance of minimum 10° Celsius. The ideal storage temperature is around 20°C. Please do not keep foams and sealants in your van or cold shed! Our PICHLER air tight foams (Flex Closed Cell and AirFix®) work with ambient temperatures down to +5°C. The WaterFix® should not be used on temperatures of less than +10°C. Allow a longer curing time for the foam in the winter. Based on our own experience, the foam should be left for a day before the trimming. Otherwise the cell structure could be damaged which leads to shrinking and air pockets. As many one component foams, PICHLER Flex Closed Cell and AirFix® require some moisture for creating the best cell structure. Dampen the substrate before spraying and repeat the procedure approx. 3-4 minutes after the foam has been applied. The WaterFix® Foam is a two component foam and therefore does not need any additional moisture for curing. 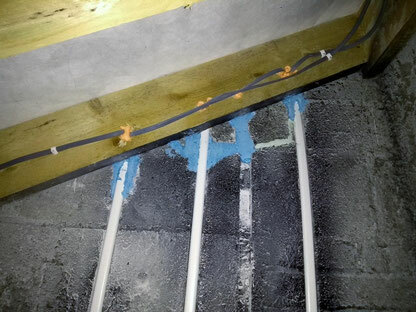 Please do not apply this water tight foam on damp substrates.